Who doesn’t feel better after a day at the seaside. It’s nice if the sun is shining but the wind and rain can be exhilarating too. Victorian ladies delighted in taking the sea air and some prepared little books to encourage amateur collectors of seaweed. When I go sea-weeding I am looking for new species, so I was rather disappointed when the field work from a citizen science training day took place at a rising neap tide. Neap tides are sluggish and not a lot of the coastal garden is revealed. However, the RSPB’s annual Big Garden Birdwatch has shown that the starling, famous for its stunning murmurations, (when thousands of the birds flock together in formation the sky), has in recent years, seen a steady decline in its number. In many ways it is the recording of the duller species, the ones we take for granted, that gives valuable insight into the ecological monitoring of the landscape. Citizen science involves the participation of people who are not trained scientists but who contribute to scientific research. Its not a new idea. 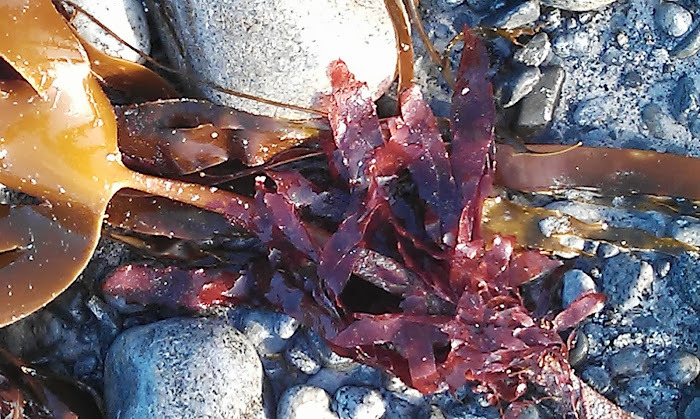 Victorian ladies gathered and pressed seaweeds, which they then packaged up to male Professors. Some were less amateur than others. Mrs Alfred Gatty, author of British Seaweeds (1863) commented on almost two hundred species in a simple but thorough manner. She spent time on a Horn Book of seaweeds, which I interpret as a primer, a basic guide. She considered herself an amateur naturalist. At a time when mental health is no longer locked away, citizen science has the opportunity not only to help scientific research but personal wellbeing. Nature soothes pain. It provides respite for the tired over anxious brain. 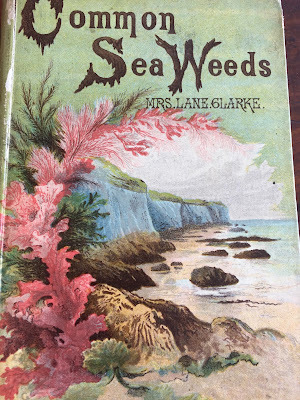 The Victorian, Mrs Alfred Gatty writes in a letter to her sister, ‘It was great mental rest to do nothing but seaweeds’. I can relate to this. 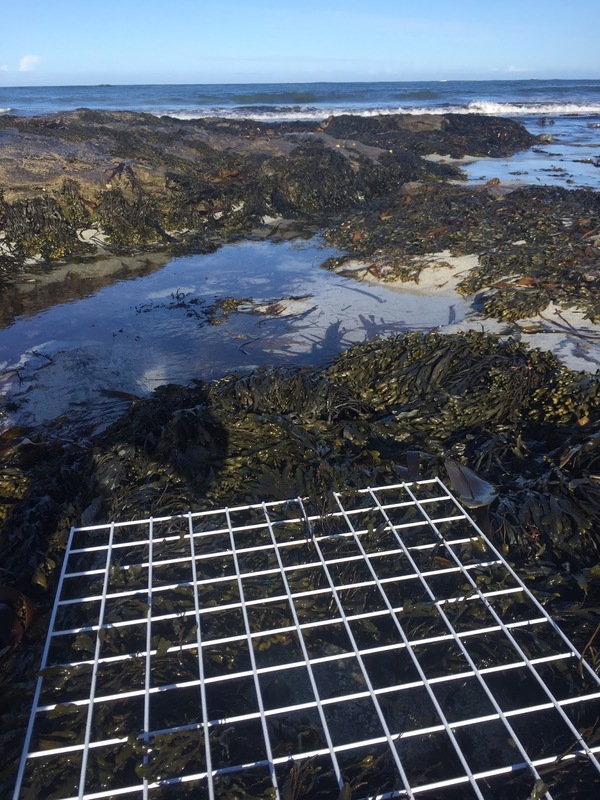 CoCoast is a programme that engages in collecting records of marine species along our coasts. Volunteers are invited to a free of charge training day and introduced to ways in which members of the public can contribute, in a meaningful way, to conservation and scientific understanding. My brief indoor training involved lentils and sweeties and a quadrat to encourage accurate recoding, and then we went down to the seashore. An otter ran past as we enjoyed our picnic lunches, but this can’t be guaranteed unless perhaps you record in the Outer Hebrides. 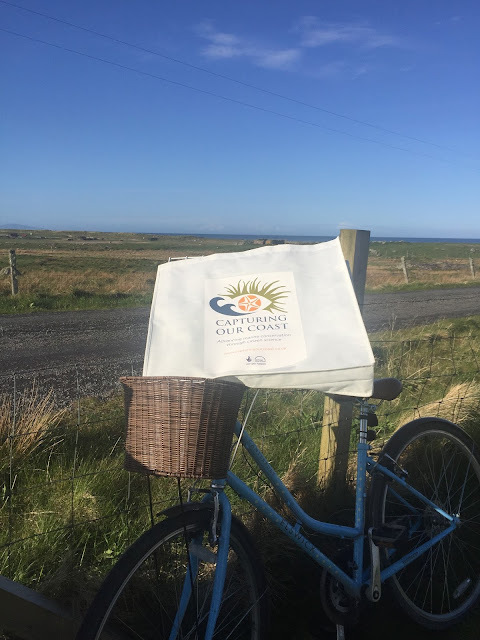 CoCoast is nation wide and by participating, individuals can enjoy a day at the seaside at the same time as working in a collaborative way with marine scientists. The project will raise national awareness of the richness of our marine life. Participants will gain local knowledge and the added bonus is that you may meet some kindred spirits too. 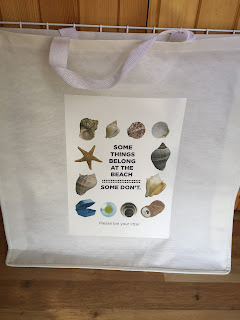 Of course some things shouldn’t be found on the beach but beachcombers can take a bag and remove such items. Citizen scientists can help prevent ocean pollution. 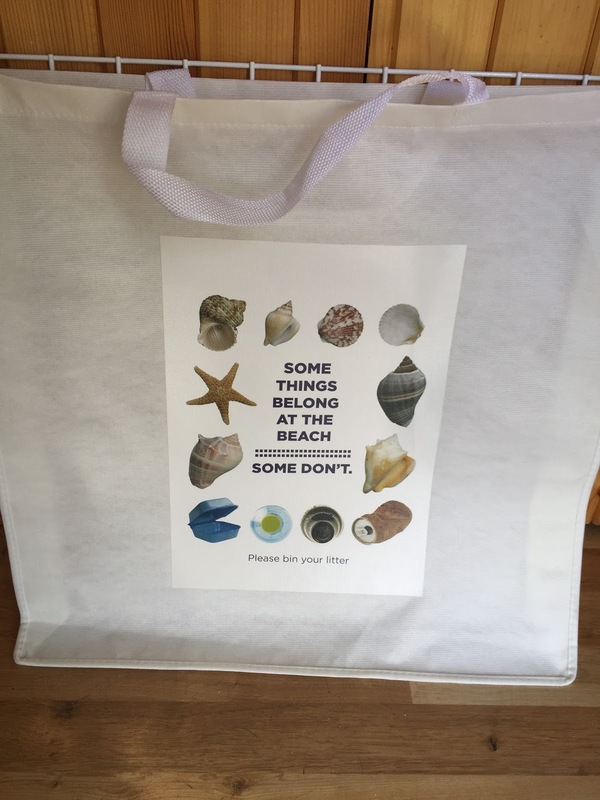 It would be a good idea if Local Councils provided sea shore bins, which were emptied regularly to help prevent fish and sea birds eating nurdles. I was slightly irritated that my training day didn’t involve a decent spring tide where I could look for interesting species unknown to me, but the things we take for granted, the species we don’t miss until they have disappeared, need to be recorded too. In a world where many seek notoriety, (yes, who doesn’t want to record a rare species) we need to slow down, step back and breathe. 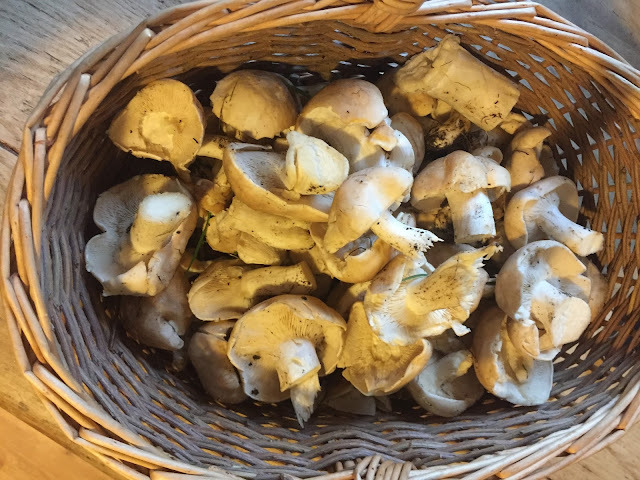 Foragers must learn to identify species with care, but once confident there is a wide range of hitherto untapped food resources to sample. Some are delicious. I rate the St George mushroom highly. It has a floury scent and is meaty, giving a useful source of non animal protein. Do not put unidentified mushrooms into your basket. 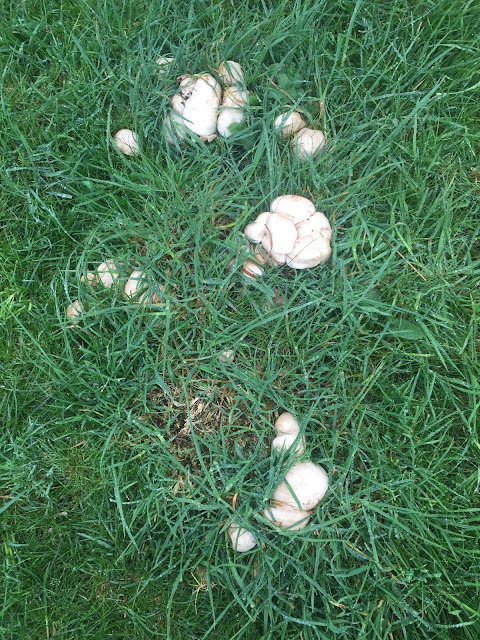 Do not eat any mushroom unless you are 100% sure of identity. Heat the butter in a frying pan over a low heat and sauté the mushrooms for about 8 minutes until soft. Heat the olive oil in a large, shallow pan and cook the onion for 2-3 minutes. Add the rice and continue to cook, stirring to gloss the grains for a minute. Do not allow to brown. Strain the mushrooms juices and add them to the rice. Cook the rice for a further 20-25 minutes adding warm stock , a little at a time. 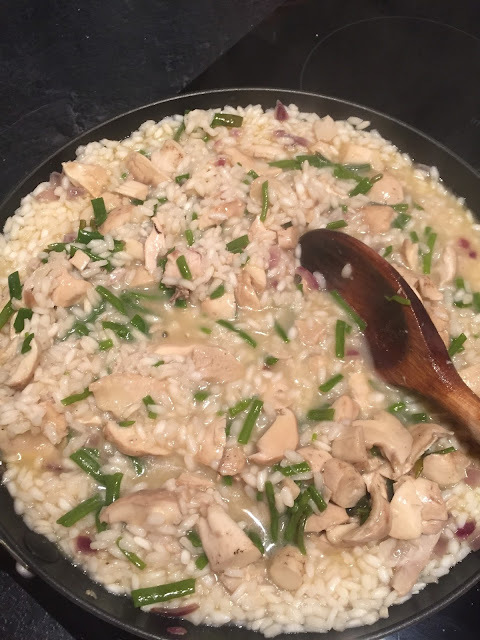 When the rice is almost soft (has absorbed the stock) add the mushrooms and seaweed, and season well. Cook for a further 2-3 minutes until the brown sea spaghetti turns green. If the rice is not tender add a little extra hot water and cook for a few extra minutes. Serve as soon as possible.